Senior journalist Sushila Ravindranath on why our state is still Indiaa��s best-kept business secret. Over 30 years in business journalism gives you a unique perspective. 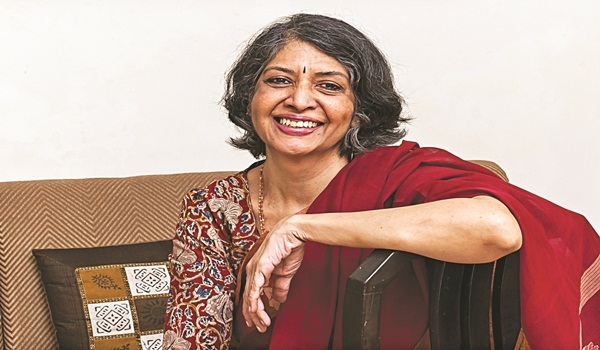 For Sushila Ravindranatha��who began her career with Business India in Mumbai in the 80s, before moving to Chennai a few years latera��this has meant a ring-side seat to an evolving industrial and entrepreneurial hub. But despite multi-billion dollar industries like the Murugappa Group and TVS Group, she tells us Tamil Nadua��s growth story remains a�?one of Indiaa��s best-kept secretsa�?. Attempting to change this, she has dA�buted as an author, with Surge, a book that traces the statea��s growth. a�?We are entrepreneurial, but quiet. We dona��t want to draw attention to ourselves, which is one of the reasons we never got credit as an entrepreneurial state,a�? says the veteran, adding that her years of experience have given her a unique insight. a�?When you are writing daily on business, you dona��t quite understand the bigger picture. But when you look back, you can see the changes. With Surge, Ia��ve put things in perspective,a�? she adds. We speak with her about how things are changing, unusual stories and more. Why is the Tamil Nadu story so different? The state has always been entrepreneurial, but it never attracted attention because, leta��s face it, we are at the end of the country. And there were language issues, so we never projected ourselves. Everything changed after India opened up to foreign investments in 1991. We were already a base for the automobile industrya��we had manufactured the first bicycle, the first two-wheelera��but with Forda��s entry, everything changed. Jayalalithaa was a first-time CM back then and she went all out and got it. Ford even had a question hour with 500 queries and Tamil Nadu answered them all! Why are we still the best- kept secret? The big newspapers in Mumbai and Delhi papers dona��t look beyond their cities. They are really not interested in what is happening in the rest of the country. We have industry in every district, something very few states can boast of. There is a `200-`300 crore company like Aachi Masala that gives employment to 4,00,000-5,00,000 people, but we dona��t know about it. The Saravana Bhavan and Nalli stories are popular, but they are not the big stories. They are part of the huge retail sector in the state. One of our unusual stories: P Ponnudurai, a man in Tiruchirapalli, importing dates from the Middle East and selling it all over the country, and even exporting them, under the brand Lion Dates. Mumbai entrepreneurs are known for their flamboyance and Delhi, for their big talk. What about us? We are known for our discipline. I remember one of my first interviews in Ambattur, when the chief executive told me very seriously to come at 7.30 am because they all got to work then. Ia��d never heard of anything like that. How are things changing now? The old forte was manufacturing. Now ita��s more into IT services, retail and so on. Fresh Desk and Girish Mathrubootham came as such a lovely surprise. Even a Carat Lane and Magzter, the digital magazine newsstand. The new generation is differenta��almost all of them are foreign educated, foreign trained, more accessible to the media, and social media savvy. But the reticence is still there.